You can't beat a classic. Just make sure not to aim at the face or eyes EVER! Serious injury can occur. 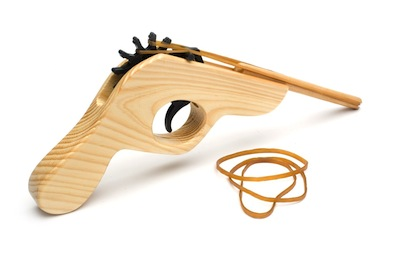 Contains one rubber band shooter and extra rubber bands.